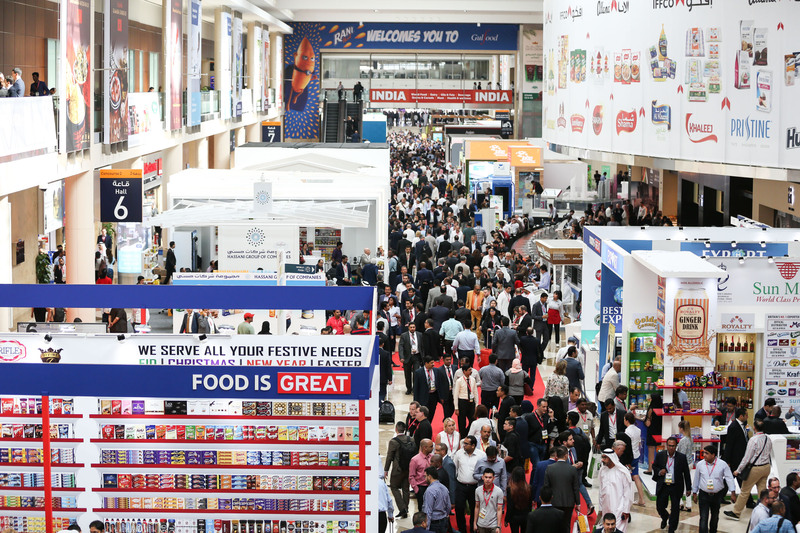 The Gulf Food 2019 is expected to attract top food producers with thousands of new-to-market products and a dedicated ‘Innovation Summit’ addressing the future of food. Dubai once again is set to become the launch pad for innovation in the Food and Beverage (F&B) industry as the 24th edition of Gulfood kicks off at Dubai World Trade Centre (DWTC) tomorrow. From February 17-21, 2019, the focus at Gulfood, the world’s largest annual food and beverage trade exhibition, will be on the shifting consumer preferences for healthy food options. The event will showcase the global diversity of food through hundreds of exhibitors from all over the world as well as a significant pool of Michelin-starred chefs participating in the all-new Tastes of the World competition. The five day meet will see leading companies from 120 countries showcasing the latest range of products across the key F&B market. A recent report by engineering solutions firm Danfoss estimated that 40 pc of the UAE’s total waste is derived from food, while in Saudi Arabia alone, food worth USD 13.3 billion is wasted every year. The Middle East’s F&B industry needs to enthusiastically embrace advanced technology to help fight the region’s growing food waste dilemma, say experts. Speaking ahead of the summit, two leading experts on food waste have urged the region’s F&B players that only disrupting traditional working and operational practices will combat the problem. The advent of the ‘smart’ kitchen would go a long way to hugely improving industry efficiency, says Michael Ellis, chief culinary officer of the local hospitality giant Jumeirah Group. “There are two areas where smart kitchens can have an enormous impact: firstly, by reducing the amount of repetitive manual labour that is a big part of much of food preparation, and secondly by reducing food waste, which is to some an extent an issue for most kitchens today. These innovations will come about both by developments in kitchen equipment, but also in the use of data mining techniques to allow chefs to anticipate how many of a certain dish will be ordered on a given day based on historical trends,” he said. Ashraf Ali M A, executive director of LuLu Group International, a large regional retailer,says regional retailers should prioritise the convenience of customers as they seek to service an estimated one million extra consumers by 2030, with world population on track to reach 8.5 billion. “Supermarkets and hypermarkets must capitalise on technological developments and create the perfect mix of in store and online offerings to meet consumer demand if they are to remain the dominant force in a rapidly evolving food and beverage retail and scape,” he added. Several new products are ready for a launch at Gulfood, with many of them labelled as ‘healthy food’ in sync with the theme of the year, ‘The World of Good, The World of Food’. The launches come as Euromonitor International, a consultancy, forecasts the Middle East and North Africa (MENA) region’s health, wellness and free-from product sales to rise 7 pc over the next five years compared with a global average of 4 pc. Euromonitor says regional consumers are paying more attention than ever to what they eat and are opting ‘for products that make them feel good and lead to long-term health benefits’. Euromonitor adds that regional consumers ‘are becoming more selective in their choices, prioritising fresh, natural and minimally processed food and drinks’ and its has identified regional key trends as: vegan and gluten free products, along with plant-based proteins, products with low-calorie options and those with no ‘artificial’ ingredients, including sweeteners, as well as longevity foods and super food such as avocado oil and dragon fruit. The summit is expected to welcome 5,000 local, regional and international exhibitors converge to launch thousands of new-to-market products and solutions to meet emerging trends and shifting consumer choices. Over the years the Gulf region has emerged as one of the key markets for Indian agro-products. According to Agricultural and Processed Food Products Export Development Authority (Apeda), a government body charged with export promotion, food exports to the GCC countries stood at USD 3.38 billion during 2016-17, accounting for 20.9 pc of India’s total trade in these products by value. Last year there were about 300 Indian companies that participated in Gulfood. The range and diversity of Indian companies showcase how the food processing industry in India has taken off. There is a presence in ready-to-eat food, cereal as well as grain sections. S.S. Nayyar, general manager, APEDA, last year at the summit had said that in most of the supermarket and hypermarkets here, there is a prominent availability of Indian products, especially in terms of rice, vegetables and ready-to-eat products. With the increasing popularity of Indian food, APEDA has received the opportunity to not only sustain India’s presence here but also to enhance its share. The United Arab Emirates and Saudi Arabia have decided to make India a base for food security for the countries and plan to invest in both organic and food processing industries, minister of commerce and industry and civil aviation Suresh Prabhu had recently said. The GCC is India’s largest regional-bloc trading partner, accounting for USD 104 billion of trade in 2017–18, nearly a 7pc increase from USD 97 billion the previous year. This is higher than both India–ASEAN trade (USD 81 billion) and India–EU trade (USD 102 billion) in 2017-18. The UAE and Saudi Arabia, two of India’s top five trading partners, are from the Gulf. The GCC also provided over USD 37 billion in foreign-exchange remittances from Indian expatriates in 2017, accounting for over 54 pc of India’s total. The trade growth is being hampered by long-pending free trade agreement between India and the GCC countries, although a framework agreement on economic cooperation had been signed 15 years ago.